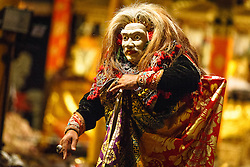 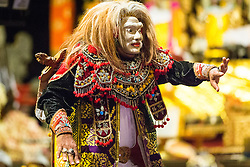 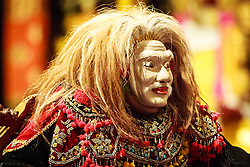 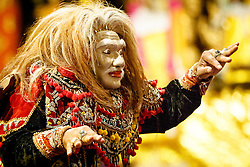 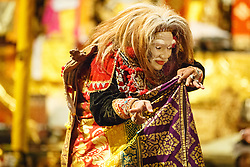 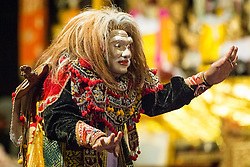 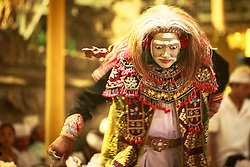 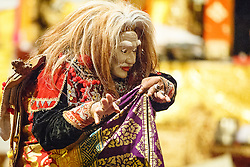 In Bali, masks are known as topeng, and the Old Man character is called Topeng Tua. 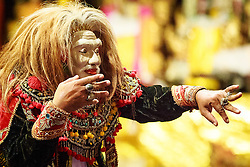 Topeng dances are typically performed as part of religious ceremonies or other special occasions. 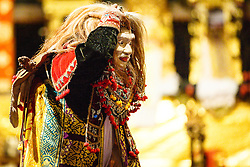 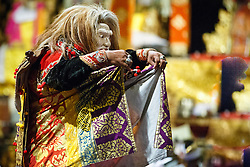 The masks used in these dances are sacred objects and are blessed with holy water before each performance. 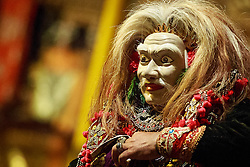 Women never perform in masked dances, and female characters are portrayed by men. 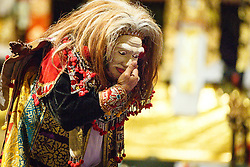 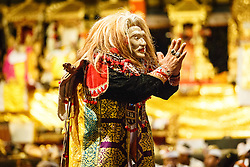 The dancer’s face mask is carved with a wrinkled forehead, staring eyes, and a large moustache. 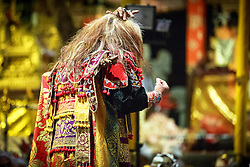 The collar of his cape is covered with sequins and fringe, and a sword is mounted in back of his right shoulder. 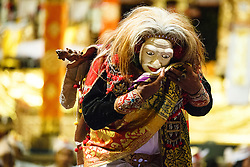 This performance was at Pura Gunung Lebah in Campuan, Ubud.